The first stop on our 4 day adventure was the South Rim of Grand Canyon National Park. 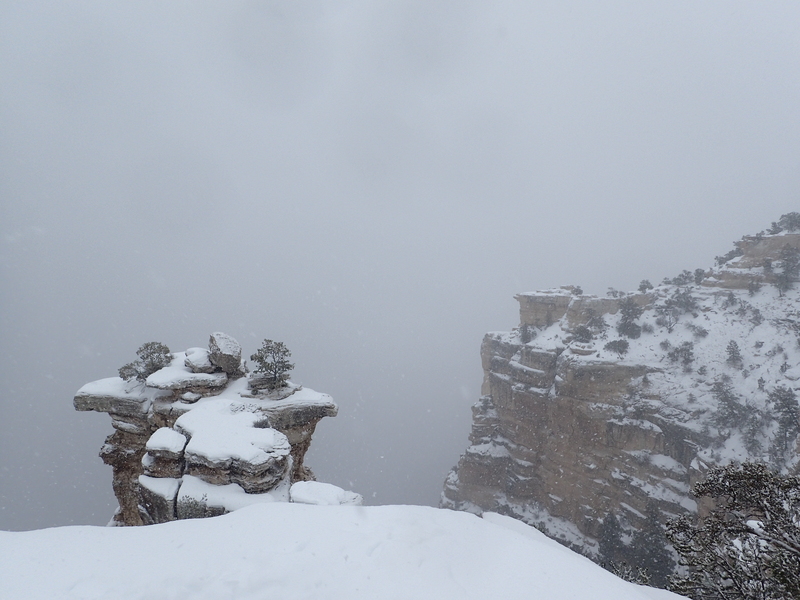 I had previously visited the Grand Canyon back in August and after seeing the magnitude of it I knew I had to go back to see it again, this time covered in a blanket of white. Unfortunately, we ended up getting more than we bargained for. Kelly was excited to see the canyon for the first time but sadly it wasn’t meant to be on this trip. We left Phoenix bright and early and caught a beautiful sunrise over the desert as we made our way up towards Flagstaff. As we reached Flagstaff the snow cover got thicker but the weather was still clear so we were hopeful the weather would hold once we got up to the rim of the canyon. Sadly almost immediately after passing the entrance gate to the park the snow picked up and visibility dropped to almost nothing. 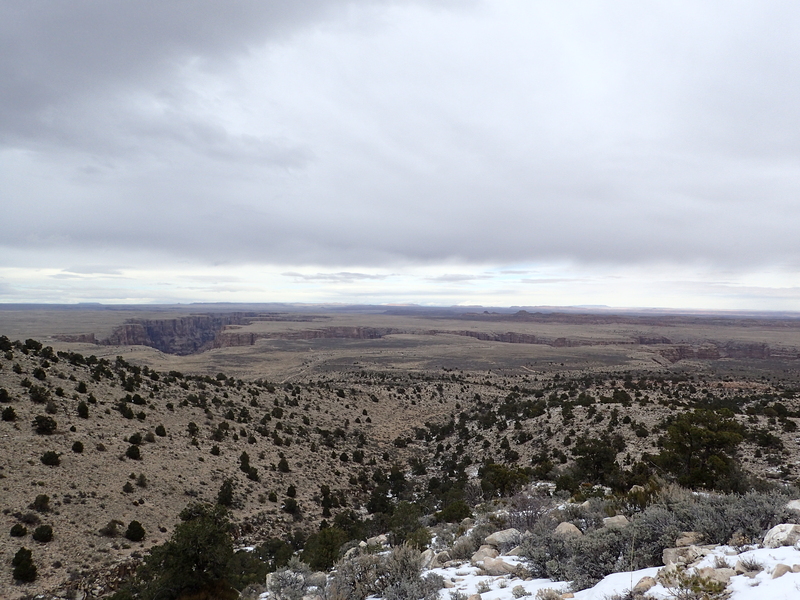 We made our way to the visitor center parking lot and walked towards the canyon rim along the ice and snow covered paths. 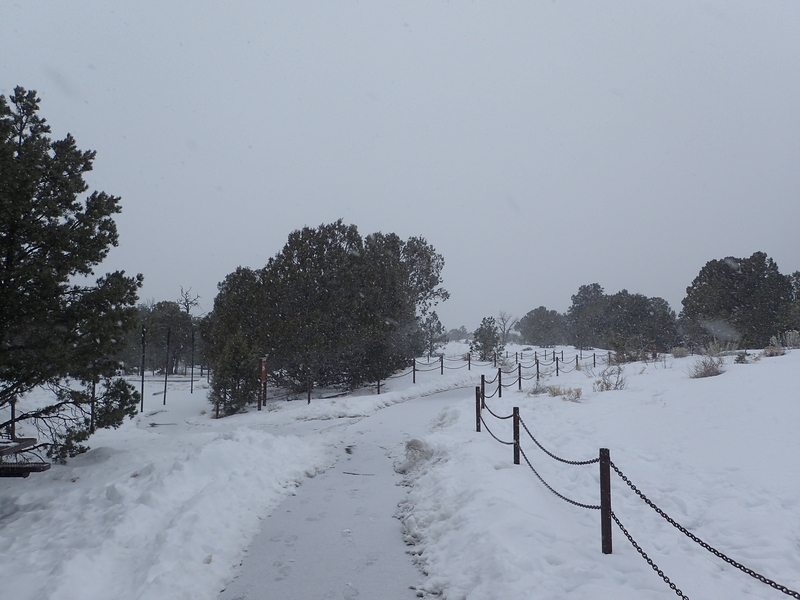 The icy path surrounding the visitor center at the south rim. The park was mostly a ghost town which was a far cry from what I experienced back in August. It was nice to have such peace and quiet but it would of been better if we had some views. We walked our way over to the rim but could not see more than what was immediately in front of us. I swear the Grand Canyon is in there somewhere. After enjoying the view for a few minutes we decided to just keep on our way towards Zion National Park where we were planning on spending the next day. 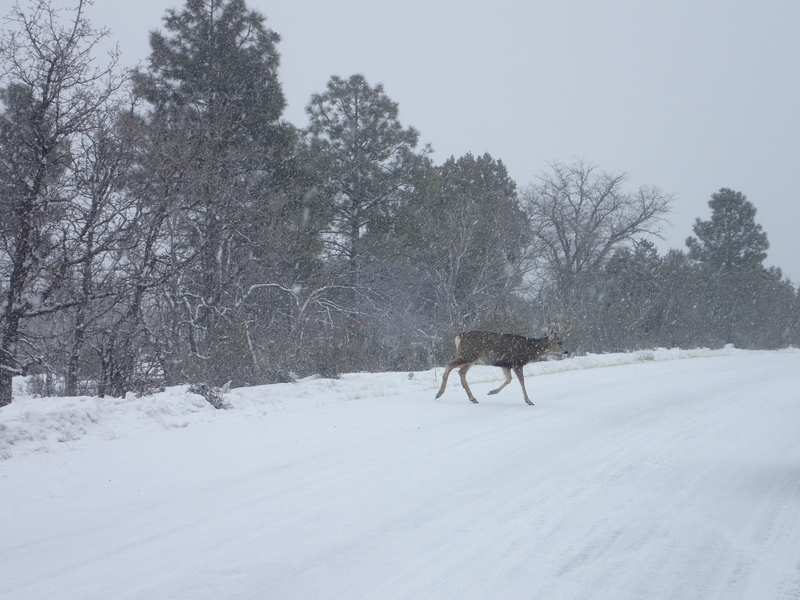 The drive out was slow going as our rental care was ill equipped for the snowy roads but that turned out to be a good thing as we did happen to see a herd of mule deer crossing the park road on the way out. Why did the mule deer cross the road…? The rest of the drive was uneventful and after passing the Desert Tower the weather began to quickly improve which was a welcome change. Luckily the drive from the South Rim to Zion is still quite beautiful as you pass through the Navajo Nation on your way to Page, Arizona. 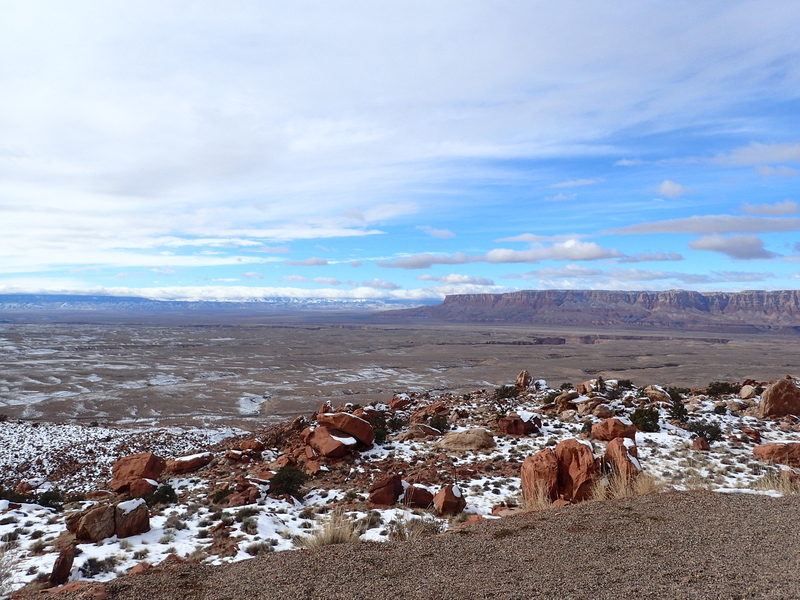 Looking out over the Navajo Nation. Looking south towards the North Rim of the Grand Canyon in the distance as you near Page, AZ. It was a shame that we weren’t able to see the Grand Canyon in the way we would have liked but in the end it is just one more excuse to go back in the future (as if we really needed one! ).